Twelve-year-old Hunter has been having a very hard time. Ever since he was diagnosed with a brain tumor earlier this year, his world has been turned upside down. It seems as if he’s spent more time in the hospital than out, alternating between nausea and boredom. 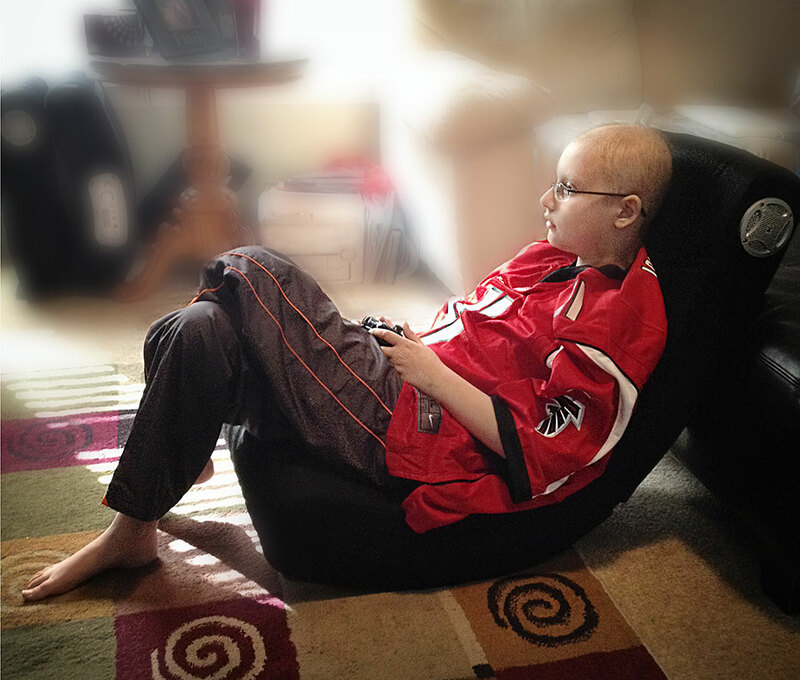 There was not much Team Summer could do about Hunter’s nausea, but former cancer patient and Team Summer kid Lacey had lots of ideas on how to help with his boredom! Having battled cancer herself, Lacey knows what it’s like to spend countless hours in a hospital bed with nothing to do. 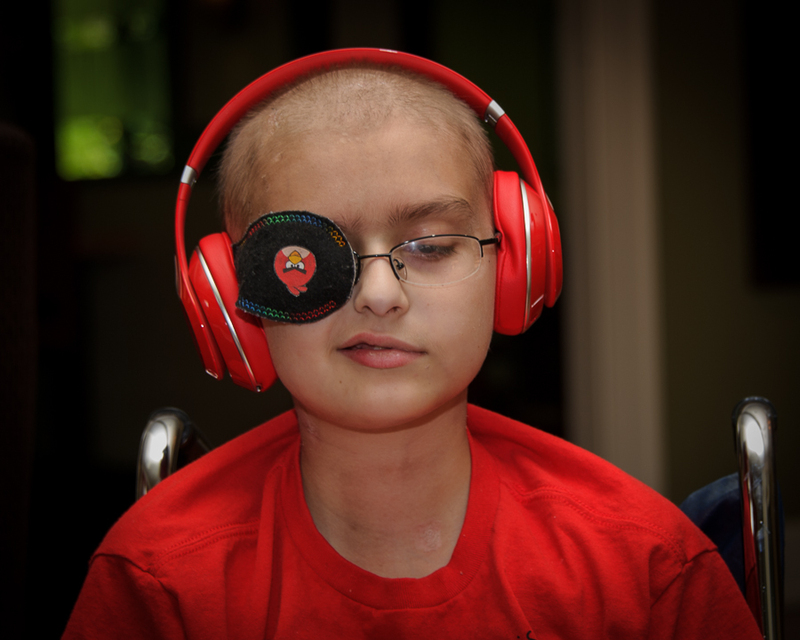 Thanks to your generous donations, she was able to give Hunter something he had always wanted – a pair of red Beats headphones. And believe us, Hunter knows just how to tune out the world with Beats over his ears! Then we added in a couple of new video games and, well, the boredom problem got better! But there was something else we heard about that Hunter had always wanted. 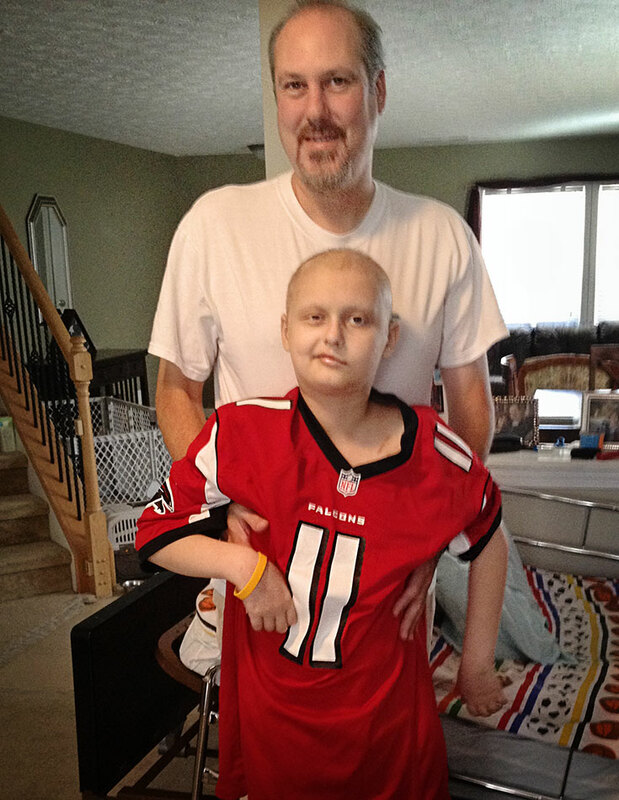 Hunter is a HUGE Falcons fan and particularly a HUGE fan of Falcon’s wide receiver Julio Jones. Using some of Team Summer’s connections, we were able to present Hunter with his very own Julio Jones jersey – autographed by the man himself! Thank you Julio and Terrin McKay for making this happen! 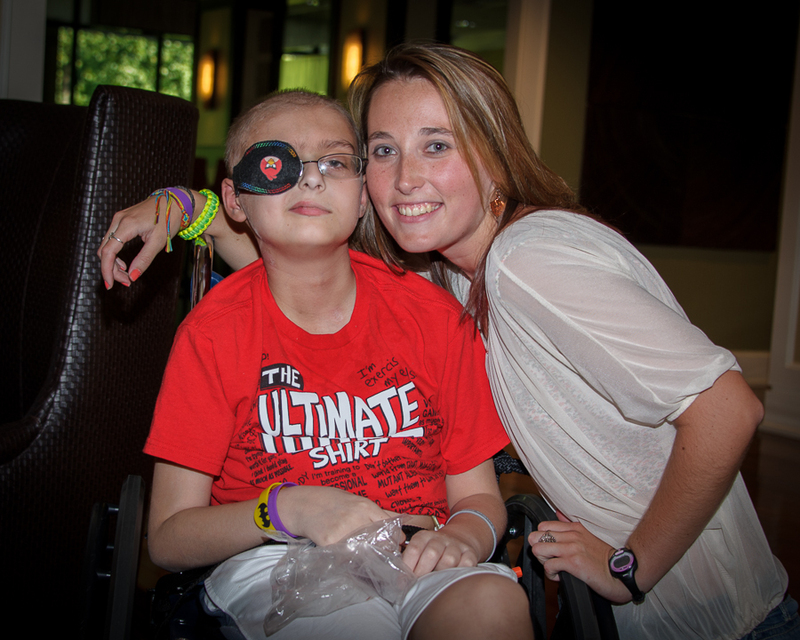 Hunter will be the first to tell you that having cancer as a kid is really, really tough. But at least on this day he had someone to talk to who really gets it – Team Summer kid Lacey. Someone who could show him her scars. Someone to give him hope that he, too, will get through this ordeal. You are such a strong young man and an inspiration to others who are going through tough times. Praying God takes care of you and your family during these tough times.